Whether you're a stone's throw from the Rio Grande or shivering up north, let the sun shine in on your next Mexican-themed celebration. 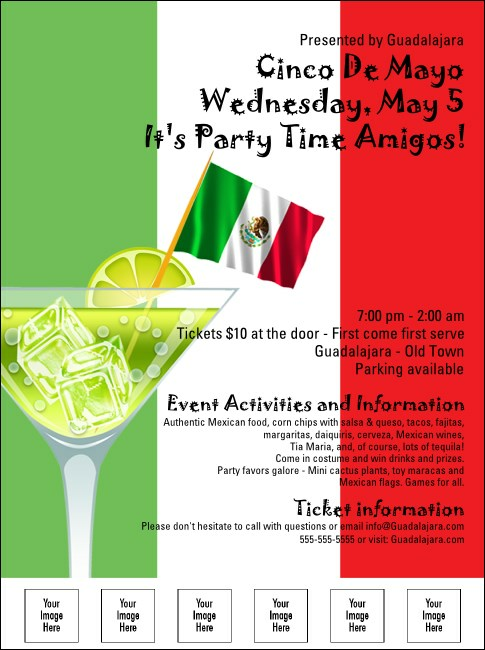 For Cinco de Mayo or any day, a South of the Border Flyer template with a chilled margarita in a glass garnished with a slice of lime and a little Mexican flag lets all your amigos know there's a party at your place and everyone's invited. Chill out! You'll find everything you need to start the party in TicketPrinting.com's online galleries.